With the propose of achieving high quality productions here we have a portfolio with some of the top musicians in multiple genres. Our goal is to get the best song and performance first! Only then we worry about getting the best quality recording possible. It's a chain process but we feel the need to handle less clients to spend the amount of time we think is needed to get the best song possible. We handle everything music related. 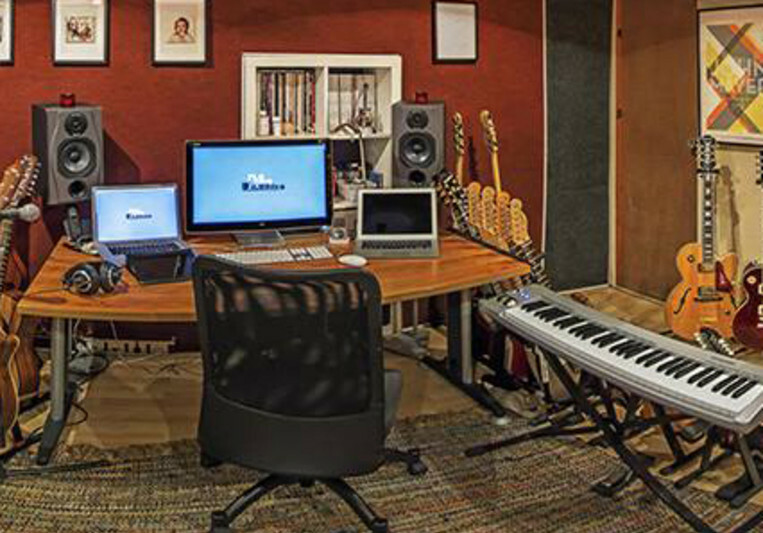 Songwriting, arranging, string & horns, soundtracks, sound design, instrument parts with no genre limitation. We can also provide accommodation for bands that wish to come and spend time here. We're south of Lisbon and have the best view, beach and food at amazing prices. Our clients are always right! Be amazed with the price we offer! As Plateia D'Ilusões's songwriter and client, I unhesitatingly recommend the work of its main producer, Vasco Teodoro. He's the big friend of the songwriters, because he perfectly understand their language and is able to reproduce the talent of their works. Here, everything is possible. A songwriter can make all his dreams come true. We are perfectionists with our work so the client is always right! We work for music with our clients to achieve what they desire.